The T-2S02 is a public address stereo mixerpre-amplifier with two microphone inputs and four line inputs. 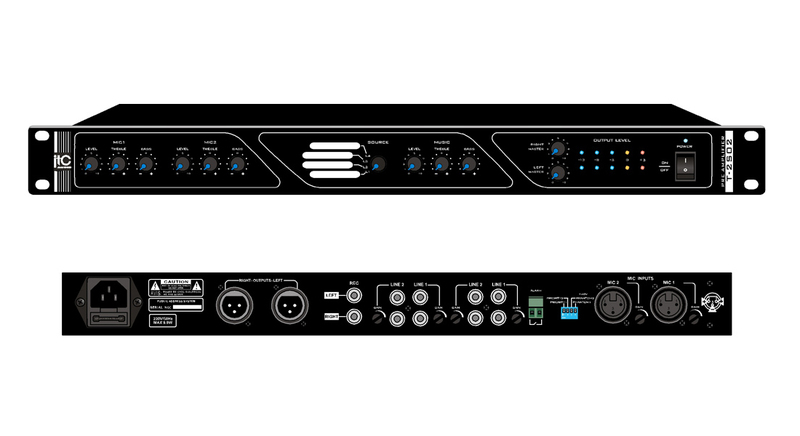 Both microphone channels include phantom power and both the microphone and line channels feature individual gain controls. The gain of the stereo output channels can also be controlled individually. The front panel features a switchable source selection rotary dial which can be labelled alongside an LED output meter for clear output monitoring.